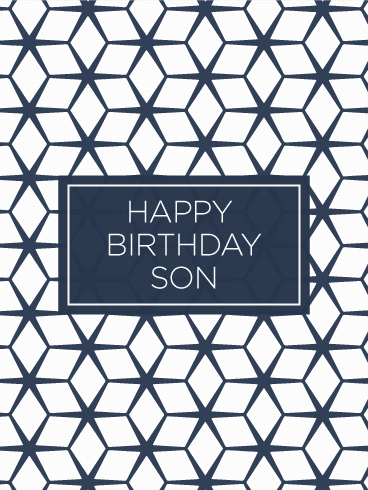 Wish your son a happy birthday with this geometric birthday card. 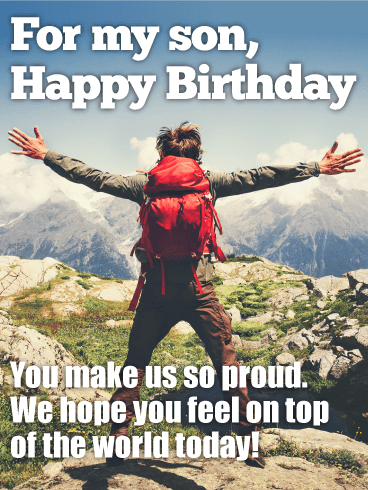 It's an optical illusion for the eyes as stars burst between 3D boxes. 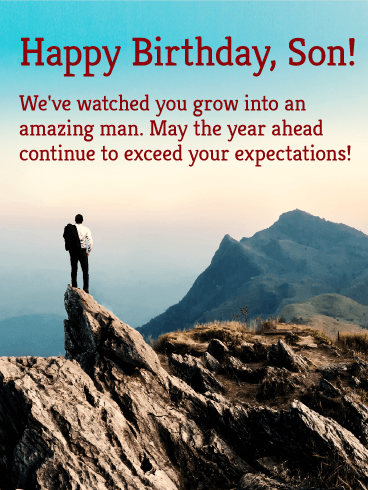 A fantastic birthday card for your handsome son. 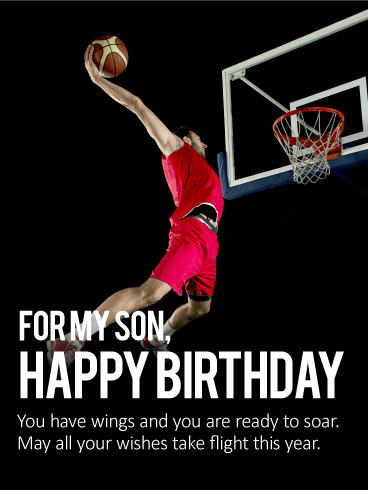 Send your dear son a birthday card to wish him a wonderful day and a great year. 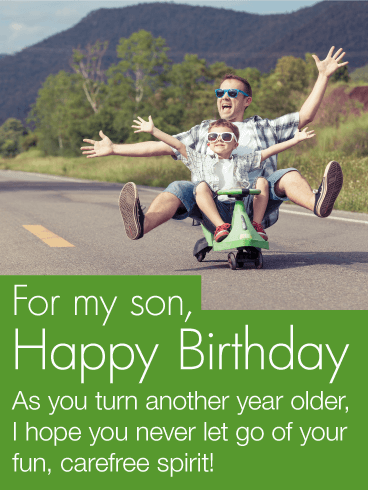 Remember your son's birthday with this simple, thoughtful birthday greeting card. 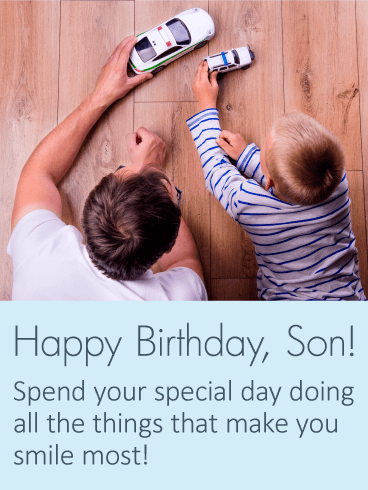 A father and son playing together with cars on the floor captures the special moments of childhood, where he got to spend time doing what he loved with the man he looked up to most. 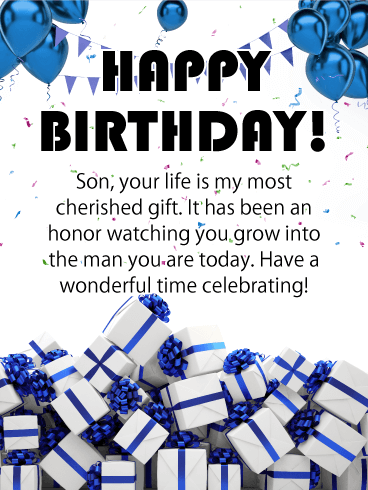 And whether he's not done growing yet, or is now a father with a son of his own, this nostalgic birthday card will remind him to make time for the things that make him smile on his big day! 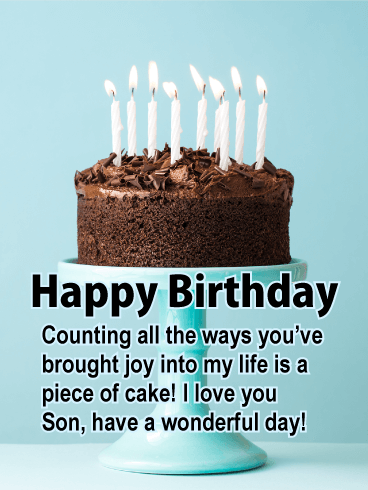 What an incredibly sweet way for a mother to celebrate her "incredible son" on his birthday, while getting a chance to tell him how you feel about him every day. 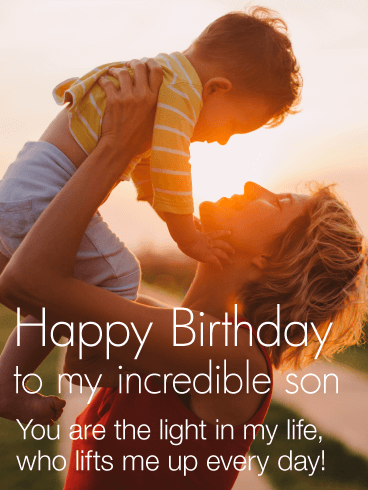 The touching image of a mom holding up her little boy as the sun beams down behind them, is supported by the beautiful message below: "You are the light of my life, who lifts me up every day!" 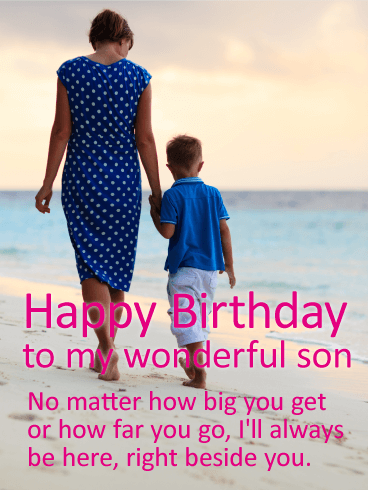 This touching and heartwarming birthday card depicts a mother walking along the beach with her young son, leaving footprints in the sand together. 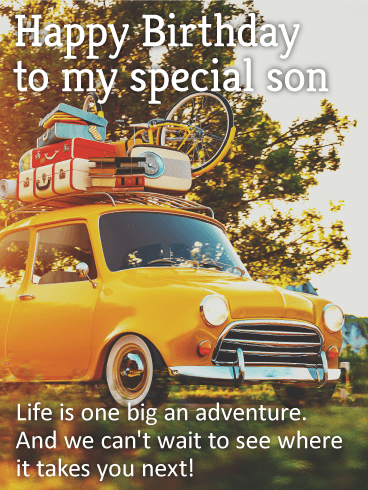 Perfect for an adult son, it's a loving reminder that no matter how much he's grown, or how much physical distance there is between you, in your heart, he will always be your little boy, and the special bond you share as mother and son will always remain strong. 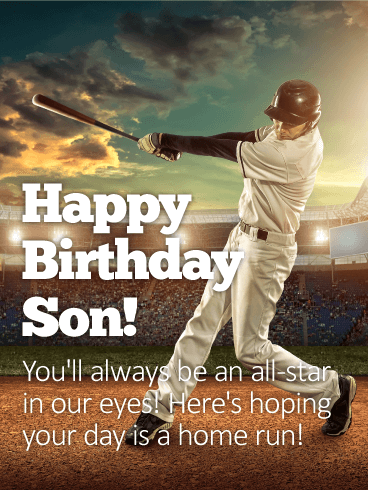 This cheerful birthday card is perfect for a son of any age, a reminder that no matter how many candles he's blowing out on his cake this year, he "never lets go of his fun, carefree spirit"! 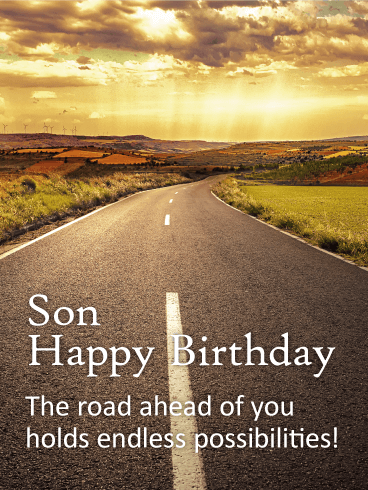 The image of a father and son riding together, hands playfully waving in the air, is a celebration of the special relationship you will always have with each other!